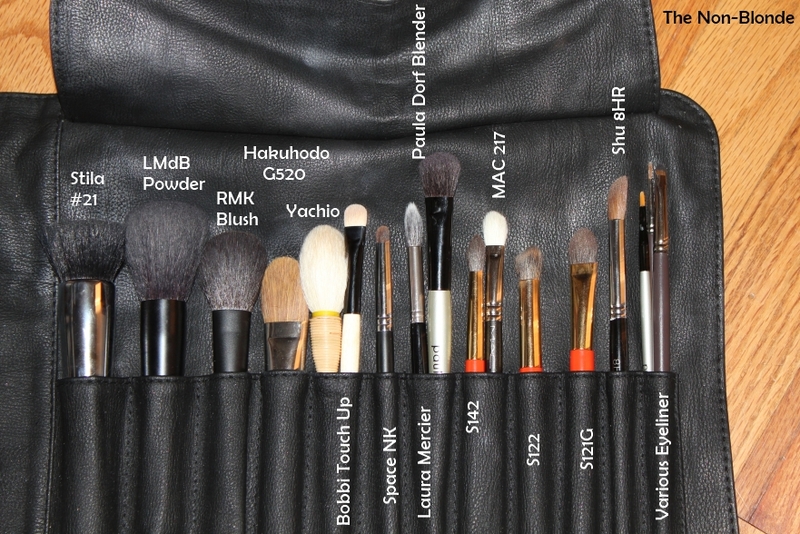 One of the good things about a brush roll is that there's only so much room and brush pockets so one needs to decide which brushes are the most important and stick to that plan. My brush roll (the one and only item I ever bought from Sigma) is roomy enough, so I can't complain. I've had it for several years now and know it fits all that I could ever need on any trip. I tried to choose several multi-taksers, such as the Stila #21, MAC 217, Laura Mercier Eye Finishing, Bobbi Brown Touch Up and Shu Uemura 8HR. I also took several eyeliner brushes because they tend to get dirty quickly and a bunch of my top performing eye makeup brushes- ones I know will help me get the best results with minimum time and effort. I don't plan on anything too elaborate, but it's always about good blending, hence the various brushes that help with that. 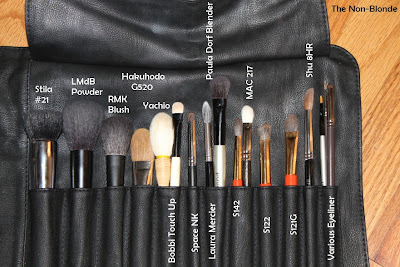 Do you have any favorite makeup brushes that go with you all over the world? Ooh, lovely, lovely brushes! I have some trusty Ruby + Millie brushes that go with me everywhere. The MAC 217 is a great choice, I often have that and my mini 224 brush. I think for future trips I will probably take my RBR eye brushes as they're great all rounders too and the large shader is good for speed.